They're words that comforted Jerri Pierce then but haunt her now. Within a month, Adam was dead. He never knew his girlfriend had just conceived Addie. As three-year-old Addie tugs at her favorite dolls, her every move tugs at her grandma's heart. Jerri Pierce is raising Addie but how she wishes her son were here to do that instead. “She helps me to remember him with just a glance,” Pierce said. 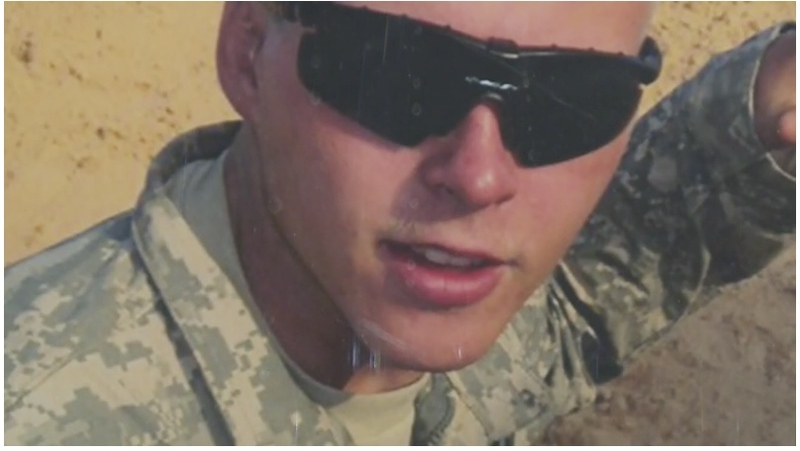 Her son Adam was the all-American kid, she said: a Boy Scout, a high school athlete and ultimately a member of the National Guard who, at the young age of 20, left behind his wife, daughter and mother to deploy to Iraq. He had no idea he had less than 2 years to live. Pierce remembers with agonizing clarity the day she found out he was dead. A knock at the door delivered the news. But as much as she'd worried about her son, she was not prepared for this. “He hung himself,” she explained. At 22, Adam Thornton took his life. He left no note, but by then a wife, three kids, including little Addie whom he never knew had been conceived, and a trail of signs that only hindsight brought into frightening focus. “I wanted his homecoming to be super special and he just couldn't adapt,” his mother said. After a year in Iraq, Adam had returned a different man. He seemed overwhelmed-quick tempered, impatient with his kids. His mom suggested he be screened for post-traumatic stress disorder or PTSD. Not everyone is that lucky. WWL-TV and our parent company TEGNA have investigated a policy whereby some troops with arguable mental health issues receive "less than honorable" discharges. They're kicked out with no benefits and no way to get help. “You lose the health benefits, you lose the medical benefits, you lose retirement, you lose everything,” said Larry Jones, a local veterans service officer. A veteran himself, he now helps others file and fight for benefits. The problem, he says, is when troops get into trouble for things that could be related to mental health, they're unlikely to bring up those issues because of the stigma, so many don’t fight the "less than honorable discharge" at the outset. “And when they try to come back, it becomes more difficult,” he said.